March 18, 2008 -- In conjunction with the Delta Blues Symposium XIV : Sense of Place, the department of English and Philosophy at Arkansas State University presents renowned Faulkner scholar Dr. Theresa Towner, who will deliver the symposium’s keynote lecture on Friday, March 28, at 4:30 p.m. in the Student Union Auditorium, 101 N. Caraway Road, Jonesboro. 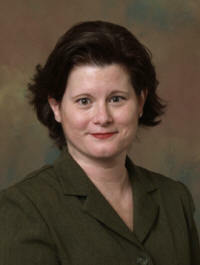 Towner, a renowned scholar of William Faulkner’s works, is a professor at the University of Texas at Dallas. Her lecture, “No One Gets Outta Here Without Singin’ the Blues,” is free and open to the public. All symposium events, which continue until Saturday, March 29, on the ASU-Jonesboro campus, are free and open to the public. For additional information on this and other symposium events, visit http://www.clt.astate.edu/blues/ or call (870) 972-3043.